Virtual reality is one of the hottest tech trends to reach education. Not only does it allow students the opportunity to immerse themselves into a subject, but can travel the World from their classrooms! Now, with the advent of Virtual Reality, integrated with Artificial Intelligence algorithms as well as interactive subroutines, this project takes it a step further! Concept: Imagine being able to teleport to numerous Native American and First Nations locations and become immersed in their culture, language and traditions. 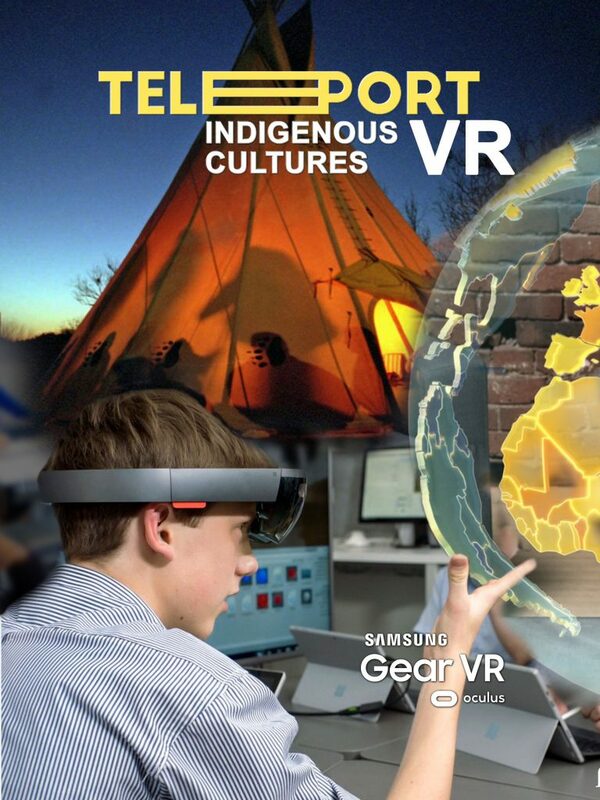 This is the first immersive virtual and mixed reality experience featuring an interactive and immersive experience with the American Native American, Australian Aboriginal and Canadian First Nation’s Peoples. Viewers will be transported to these sacred locations around the World and be able to interact in both Virtual Reality and Mixed Reality. Students will be transported to these locations instantly utilizing state-of-the-art 360 cameras. * Is it culturally or historically significant? * Is it stunning or uniquely visual? * How are these lands “sacred” to the indigenous people? * Are there efforts underway to protect the significance of these locations? What will make this unique? * The viewer will be able to fly over a location in 360 VR. * The viewer will be able to look down and land onto the location and glance around. * The viewer will be able to interact with elements within that location and video, audio or imagery educational in nature will be displayed. 1. The filming of 360 VR drone footage as well collecting images and video for the interactive elements. 2. 3D rending of “teleporting” character. This character will appear when a viewer scores points for successfully completing an experience. 3. Programming a VR mobile app version for Google Cardboard and Samsung Gear VR. This VR app.